Blow Your Stress Out Of The Window With These Super Smartphone Apps! Stress is a killer and that is no joke, and just think about how many people have come to a sticky end because they were in debt, or perhaps failed some exams. Modern life is full of pitfalls that bite you in the backside without hesitation. The best way to avoid these situations is to prepare well in advance and never expose yourself to risky scenarios. But nowadays you have to expect some stress with almost every activity, because it’s just the way of the world. So let’s think about how we can unwind and distress before we do anything reckless. Thankfully you don’t have to look further than your faithful smartphone and a few clever apps. This article highlights some welcome applications that are ready and waiting to chill you right out, right now! This app will run on your iPhone, iPod Touch and iPad, and it will require iOS 4.3 or later for smooth running. They say that the first step in dealing with stress is actually recognising the symptoms. Stress Tracker willcertainly show you how to tell if you are stressed or not and then you can start dealing with this condition. You’ll get a very thorough questionnaire that can help to identify the source of your stress, which is vital when learning how to cope with it. Once you get a handle on why you are feeling low and burnt out, you can start to relieve this stress with various treatments. 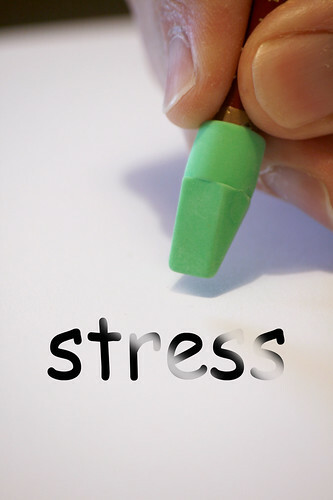 Stress Tracker is a fan of Cognitive Behavioural Therapy as well as Mindfulness principles. These Buddhist based practices are taught within this app and will certainly help you to de-stress when required. This app will record your daily stress level and allows you to look back on your condition and connect the dots to see exactly when and why you became so wound up. We love the overall feel of this one-stop treatment application and encourage anyone suffering from stress to try it soon! This app will run on your iPhone, iPod Touch and iPad and it requires iOS 4.3 or later for smooth running. It has long been understood that meditation is an excellent way to unwind after a long and stressful day, and that is what this app is all about. It may be hard to believe, but this app can really teach you how to meditate to a level that releases a lot of inner angst as well as blowing your frustrations out of the window. A full and properly structured course allows the absolute beginner a window into the wonderful and mystical world f meditation. The intuitive guide has already won an army of chilled out supporters and stress is not the only enemy that is banished by this cool practice. You can also deal with high blood pressure, migraines and a host of nasty conditions by indulging in meditation. The cost is minimal and the potential benefits are life changing. If you do suffer from a stressful lifestyle, try one of these apps, you’ll soon be seeing things a totally new way- Enjoy! The writer of this post is Jenny Wadlow. She is a consultant with New Age Power, providers of simple self-help products for self empowerment. She indulges in Yoga and cycling to stay fit. You can get in touch with her on twitter @JennyWadlow. Give Your Home Improvement Project A Real Edge With Android Apps!